VICTORIA - When it comes to the cleaning products in Jill Doucette's home she has one basic rule — she should be able to eat or drink all ingredients in small quantities. Doucette, founder of Victoria's Synergy Enterprises, doesn't use conventional cleaning products, which often contain chemicals and toxins; she uses household items like baking powder and white vinegar. "There is a huge amount of packaging waste with store-bought cleaners," she says. "Many of these are also prediluted to the right ratio and quantity, which means the consumer is buying mostly water and accessible plastic." 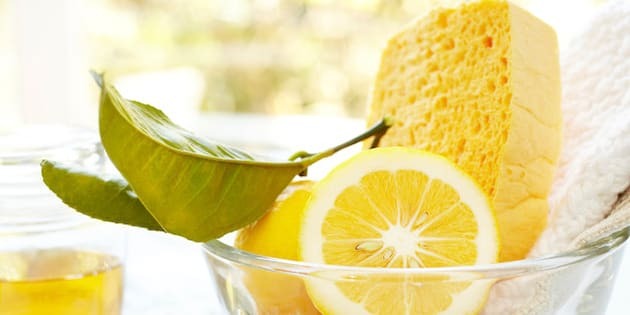 With a greater focus on green and natural cleaning products, both for the good of the environment and for personal health, more homeowners are looking for alternatives, which can often be found in their cupboards. Melissa Maker, Toronto cleaning expert with Cleanmyspace.com, says homeowners have a great arsenal of green cleaners in their homes. They just need to learn how to use them. "There are lots of little things you can do," she says. "It's good to know that upon research you can figure out different recipes for cleaning products. Great cleaners can include everything from run-of-the-mill dish soap to white vinegar, baking soda, coarse or kosher salt, lemon, cream of tartar and even vodka." Maker says dish soap can be used in a variety of ways. When combined with water, it can be used as an all-purpose cleaner. To create an all-purpose disinfecting cleaner, she recommends combining 250 millilitres (one cup) of water, 125 ml (1/2 cup) of rubbing alcohol and a couple squirts of dish soap. To polish stainless-steel appliances, Maker says a combination of one part rubbing alcohol and one part water used with a microfibre cloth will effortlessly remove fingerprints. A drawback to making your own cleaners is often they don't have the fragrances many people enjoy, but Katie Pearse, co-owner of Edmonton's Green Clean Squad, says introducing essential oils to your homemade cleaners adds natural scents. "In general I think you'll find cleaning is more enjoyable when you aren't using poisonous products," she says. "It smells better too, and I actually have a lot of fun eco-friendly cleaning because the products are quite beautiful and they smell so good because they are using essential oils." Even though there are many options for creating green cleaners at home, there are also several products on grocery store shelves that embrace greener, eco-friendly values. According to Pearse, people should exercise caution when buying products because there is a lot of "green washing" when it comes to household cleaners. She says companies are using green washing to cash in on the trend toward green without meeting eco-friendly standards set by regulators. "There are certification programs, one is called the Eco Logo program, and that is basically a third party that will approve things that are truly eco-friendly," she says. "There is a lot of green washing out there. We kind of laugh at some of what we see on the shelves that obviously don't meet what our definition of what eco-friendly green cleaning is. "There are quite a lot of good green products. If you do a little bit of research and look at the labels you can see the Eco Logo stamp of approval on quite a few products. You really don't have to go out of your way to get those products."